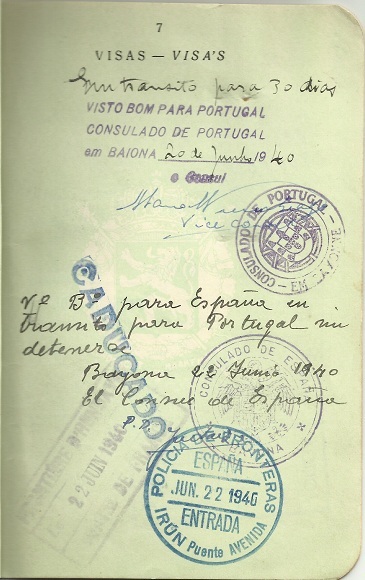 Felix FREUDMANN received a visa signed by Vice-Consul Manuel Vieira Braga following instructions from Aristides de Sousa Mendes in Bayonne, France on June 20, 1940. 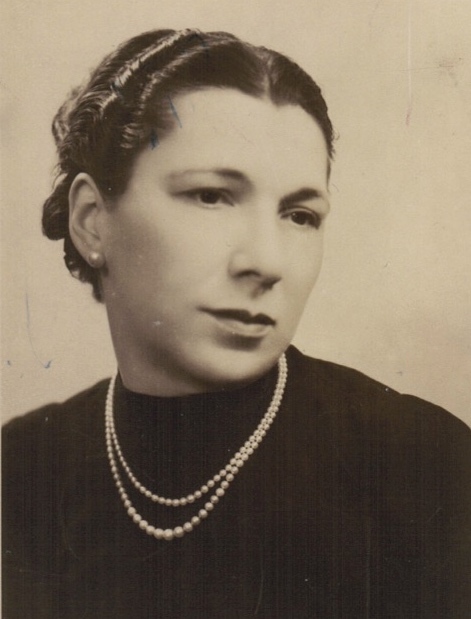 Oral testimony of Denise JOSELSON née FREUDMANN and Odette CHERTOK née GOLDMUNTZ, combined with information from passenger lists, suggests that the entire family may have received visas granted by de Sousa Mendes or his subordinates. 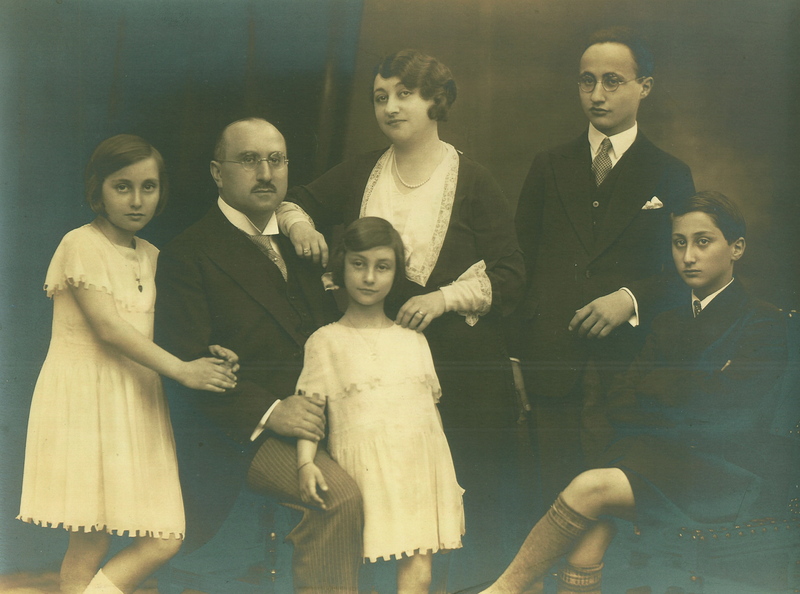 This family crossed into Portugal in the summer of 1940. 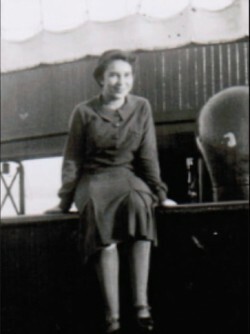 Felix FREUDMANN, son of Henri and Nora, sailed from Lisbon to New York on the Exochorda in September 1940, along with Bronislava GOLDBERG and her daughter Georgette. 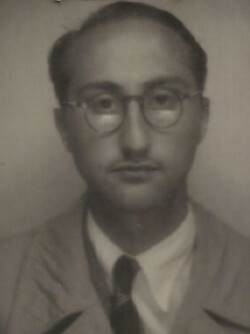 Marcel FREUDMAN, eldest son of Henri and Nora, sailed on the Nea Hellas in September 1940 with his wife Andrée, daughter of Bronislava GOLDBERG. 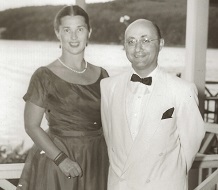 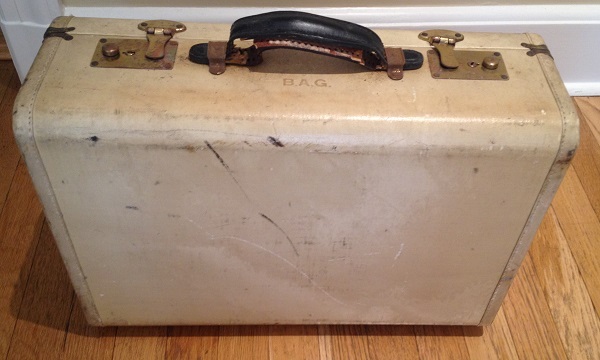 Henri and Nora FREUDMANN, along with their daughters Denise and Vera, flew from Lisbon to New York on the Pan Am Dixie Clipper in October 1940. Nora FREUDMANN was the sister of Mozes and Victor VECHT, who received visas from Aristides de Sousa Mendes in Bordeaux. 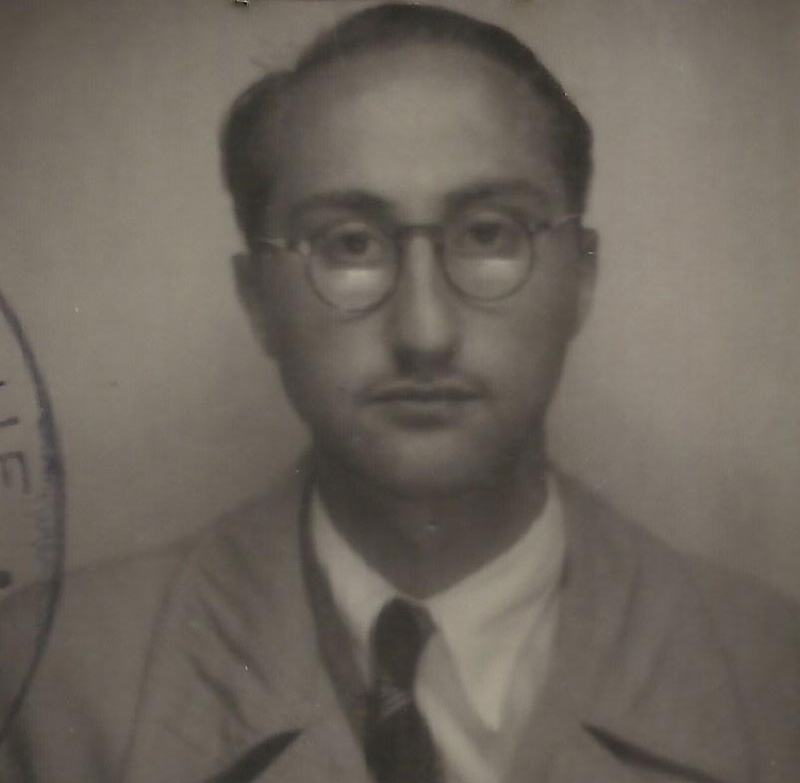  Henri FREUDMANN's cousin, Jindrich/Heinrich FREUDMANN, received a visa from Emile Gissot in Toulouse. 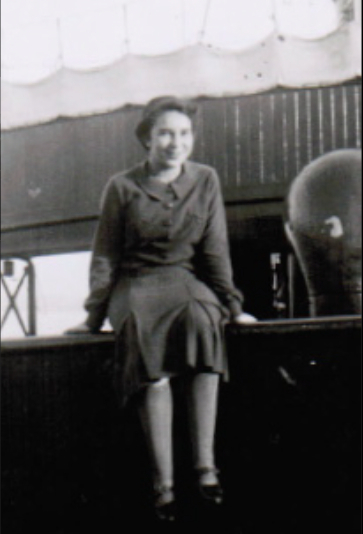 His cousins Temerla CENSOR and Rosa ROTTENBERG received visas from de Sousa Mendes in Bordeaux, and his cousin Szymon GUTWIRTH may have been the recipient of a visa authorized by de Sousa Mendes or his subordinates.